WildC.A.T.S. was a short-lived 13-episode cartoon based on an IMAGE Comic by Jim Lee that aired between October '94 and June '95. Jim Lee is of the most influential and revered comic artists of his time, making a name for himself with Marvel's X-Men titles in the late 80's/early 90's. 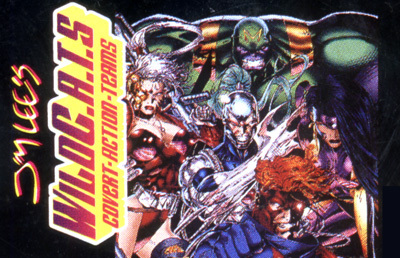 WildC.A.T.S was apparently an attempt to create a new X-Men-ish group. The super nintendo game is a typical Final Fight style beat 'em up.